Carroll Shelby would be proud. The Shelby American Collection Museum is a non-profit organization dedicated to preserving the racing history and achievements of Carroll Shelby and the Shelby American Team. 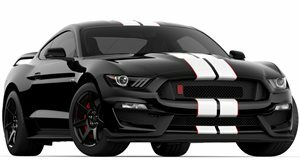 To raise some extra funds for this worthy cause it is currently running a competition that offers as its main prize a 2019 Shelby GT350R. With donations starting at a mere $25 (which gets you three tickets), you could potentially both support the Museum and drive off in one of the finest Shelby-badged Fords in recent memory. While there are plenty of 700 horsepower+ muscle cars out there with insane straight-line acceleration, the Shelby GT350R follows a more balanced approach. Instead of relying on forced induction, it makes use of a technologically advanced 5.2-liter V8 which pushes out 526 hp and 429 lb ft of torque. Combined with a MagneRide suspension system, massive Brembo brakes and lightweight 19-inch carbon fiber wheels wrapped in sticky Michelin Pilot Sport Cup 2 tires, the GT350R is the ultimate track weapon. The six-speed manual transmission is icing on the cake for those who value a more analog driving experience. This particular model is finished in the rare Ford Performance Blue color and is undoubtedly destined to become a desirable future classic. If you are feeling particularly generous or want to drastically increase your chances of winning, donations range right up to $2,500 which gets you a total of 525 tickets. There is still some time left if you need to save up as the competition draws to a close on August 31 with the draw taking place on the same day. Head on over to their site if you would like to take part in the competition.